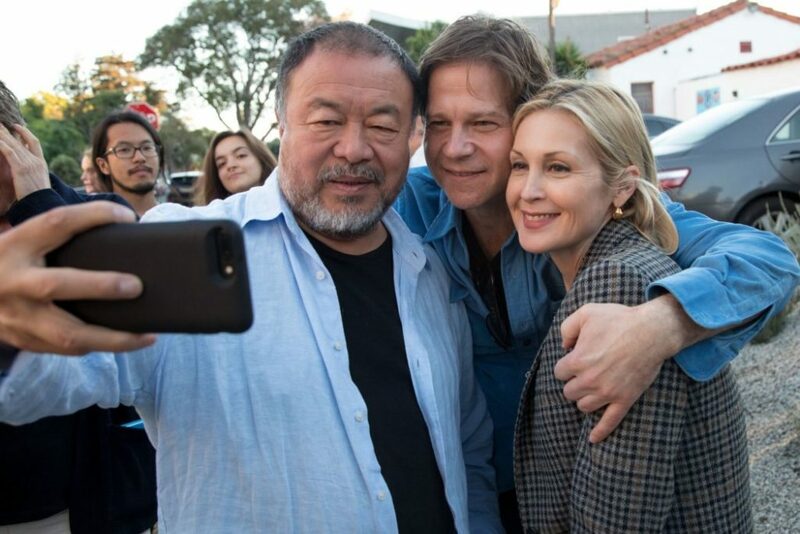 Last Thursday evening, Jeremy Zimmer and Jim Berkus of United Talent Agency (UTA) hosted an event in Beverly Hills commemorating the opening of Ai Weiwei’s new exhibition, “Cao/Humanity,” open through December 1. Over 1,100 guests (including Val Kilmer, Nikolai Haas, Michael Chow, and Arielle Pytka) gathered at UTA’s recently opened Artist Space to view the show. The new space, designed by Weiwei himself, was the artist’s first architectural project in the United States. “Cao/Humanity,” which was conceived by Joshua Roth, features pieces like Cao a marble rendering of over 700 blades of grass; Iron Tree Trunk, weighing in at nearly two tons; and Humanity, Ai Weiwei’s new global performance project. Created as a response to the tens of millions of people displaced by famine, climate crises, and war, the video Humanity features Owen Wilson, Sarah Silverman, Ali Wong, and Will Ferrellreading aloud excerpts from Weiwei’s book of the same name. The project asks future visitors to make similar recordings, which will then be added to the video. In order to involve people from all backgrounds, Ai Weiwei has invited the public to record themselves on social media to lend their voices in support of the idea that humanity is one.